Length | I got the hair in 16 and 14 inches but because it's curly it looks short. How long I've worn it | I've worn it for over a month now: I received it in May. 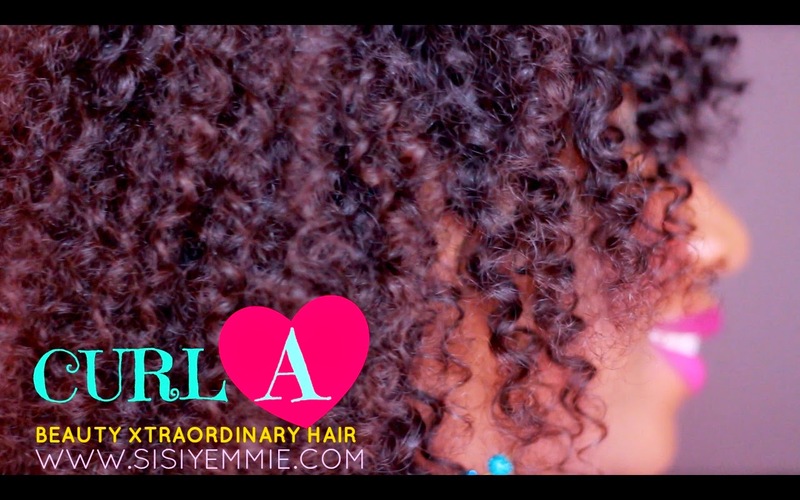 Curly Pattern |The curl pattern is ringlets...just soft spirally ringlets, just look how pretty that is. I've been tempted to brush it out into an afro. *OFFER* Beauty Xtraordinary will happily make your weave into a wig for free this month once you purchase hair from them and their wigs are really good fit. Pls How much did it cost? Nice nice nice, i really like how it looks, but unfortunately am not in Nigeria plus no money, besides am hair is already very full you can see for your self by visint my blog, only prob i have is it refuses to curl like that lol but i will make it curl someday. Sisi yemmie,I've been trying this number since yesterday,sent an email,no reply.Could you please get another means of communicating with them for us?? ?biko!